Utilizing the right merchandising strategies while building your Magento Ecommerce will help you effectively reach your target audience and also encourage your visitors to buy your services/products. As each E-commerce store is different there is not a “one size fits all” approach and your ideal strategy is based on your companies individual goals. That said, there are a few overall proven store merchandising tactics that could help you increase your sales on your website. You are already ahead by choosing Magento as your online store as the software has multiple store layouts, conversion testing and checkout options built right in. And if you partner with Powersurge you have a team of hosting experts to assist you, with servers that are optimized specifically for Magento providing an optimal experience for both you, as a user and for your website visitors. Offer several product options – Make sure to offer a multitude of colors, sizes, options etc. Dont lose customers because you do not offer what your competitor does. Add new items regularly – Your visitors are more apt to return if you are constantly offering new items and keeping your inventory f resh. Become the “Goto” website for your clients when they want to repurchase or get new ideas. Offer Detailed product information – Add “How to Use”, High Quality Images and if you are using a model in a image list his/her dimensions and size they are wearing in the image. Think like your customers…whatever questions they may have about a product…try to list it on the page. Remember when a customer is in doubt they do not purchase. Consider also adding live chat to address any “in-purchase” questions your customers may have. Offer product recommendations – Use historical data and apply this information to your customers future shopping experiences. Cross-selling to your customers will no doubt increase the value of each conversion. 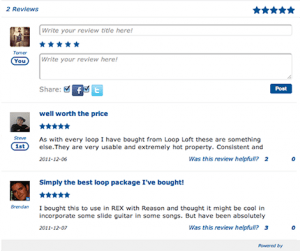 Customer reviews – Encourage customer reviews to increase brand loyalty. You can do this on-site, right after a purchase or you can email them directly after. Customers are more apt to buy a product that others have commented on…especially if they are first time customer. Keep testing your strategies – Nothing is ever perfect right out of the gate, so keep tailoring your methods. As mentioned before with Magento you can easily employ A/B testing and really zero in on what is successful and what is not and adjust accordingly. 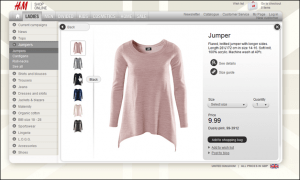 Reports like these are a critical component to any successful online store. Whether its Magento Hosting, WordPress, Dedicated Servers, Cloud or simply a customized solution based on your needs, PowerSurge offers the full spectrum of hosting services. Let us Power your business today!